Among the artists: Weronika Braun, Marta Mezynska, Monika Pałka, Ewa Pszczulny, Ryszard Szozda, Jan Tutaj. Venice, March 7th 2019 – In 2019 Arte Laguna Prize has reached its 13th edition, an important milestone that brings with it the commitment to look for something new every year, to create new metaphorical fields of research, to renew the format. As a matter of fact, the 2019 edition introduces the new Design section with the support of Antrax IT, which produces design objects for heating. 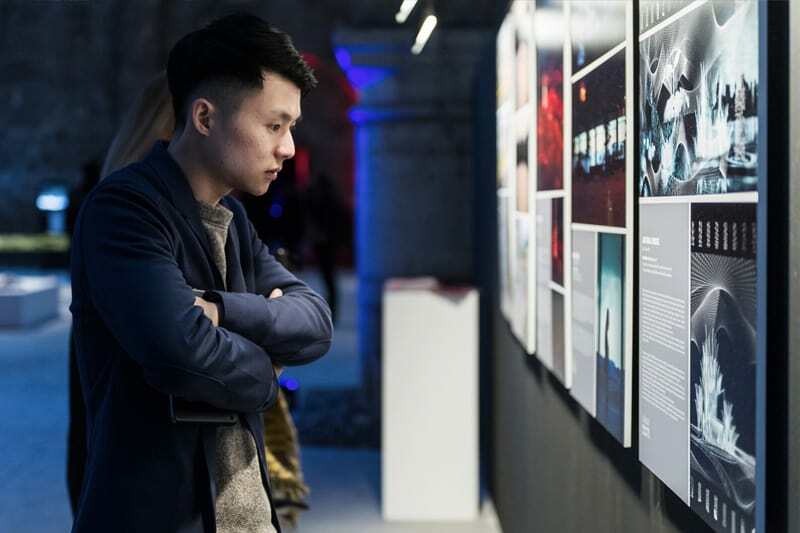 The exhibition, set up in the spaces of the Arsenale of Venice, includes a total of 120 artworks: 30 paintings, 25 sculptures and installations, 25 works of photographic art, 10 videos, 5 projects of land art, 5 of urban art, 5 works of virtual art, 5 of digital graphics, 5 design projects and 5 performances.The works come from 33 different countries with a considerable presence of French, German, Polish, Italian and Chinese nationalities. The exhibition, open until April 25th, is the result of the curatorship of Igor Zanti with the collaboration of the twelve international jurors who evaluated and selected the over 8,000 artworks submitted during the open call from September to December 2018: Flavio Arensi, Filippo Andreatta, Alfonso Femia, Mattias Givell, Eva González-Sancho, Simone Pallotta, Richard Noyce, Danilo Premoli, Enrico Stefanelli, Alessandra Tiddia, Vasili Tsereteli e Maxa Zoller. During the opening night, will be announced the six absolute winners, who will be awarded with the cash prizes for 42 thousand euros – 7,000 euros each – and the winners of the special prizes, who will have the opportunity to exhibit in important international galleries, to collaborate with companies or to carry out an artistic residency in Italy and abroad. From 5.30 pm the 5 final performances will be staged live, followed by the awards ceremony. The 13th Exhibition of Arte Laguna Prize is open also during the Easter holidays, until April 25th (the final day), with an interesting program of guided tours, activities for children and art talks on different topics, from collecting art to the relation between art and sustainability. Among the guests: Gabriella Belli – director of the Fondazione Musei Civici di Venezia (MUVE), Dr. Susan Hansen – Nuart Journal (UK), Simone Pallotta – independent curator, Mattias Givell – Co-Director of Wanås Konst Center for Art in Sweden, Chiara Casarin – director of Musei Civici di Bassano del Grappa, Ca’ Foscari University with SMATH Project. The 6 Polish artists to be included in the final exhibition are: Weronika Braun (Poland 1994 | Painting Section), Marta Mezynska (Poland 1981 | Painting Section), Ryszard Szozda (Poland 1976 | Painting Section), Jan Tutaj (Poland 1969 | Sculpture&Installation Section), Ewa Pszczulny (Poland 1953 | Photography Section) and Monika Pałka (Poland 1967 | Digital Graphics Section).